When we were children, staying in shape was simple. Boundless energy was always on tap. As we age, though, the rigors of life weigh on us. Working 40-plus hours per week or pulling 18-hour semesters is draining. When you add chores or children to the mix, it is easy to fall into a rut. Before you know it, fitness takes a backseat to life. Diet and nutrition are usually the first to go. Healthy, whole foods are considerably more expensive than junk food, and they take much more time to prepare. Frozen dinners and quick, sugary snacks are convenient and cheap, which is why they can be so tempting. Couple a poor diet with the exhaustion that comes from a go-go lifestyle, and it becomes all too easy to microwave dinner and rest on the couch watching TV. It makes sense because we all need rest. If you want to get back to your fighting weight, though, you must train yourself and your mind to overcome both dwindling free time and falling energy levels. Look, life has a way of getting each of us down from time to time. The important thing is not that you never get knocked down; it’s that you keep getting back up. If you’ve begun looking in the mirror and wondering where that strong, youthful body went, make up your mind to get it back. It hasn’t gone anywhere. It is hiding behind the obstacles your life has put in your way. Overcoming those obstacles and achieving the body you desire and the health you deserve will not be easy. If you want it, you’re going to have to take. There are no free lunches in fitness. If you have a life partner, lean on them, and be there for them when they need you. A fit lifestyle is one best shared. If your partner is gorging on sugar with little care for its effects, you too are bound to fail. Talk to the people in your life and explain your desire to take control of your health. They should understand and support your decision. If not, there may be more immediate issues in your life than fitness. If you live alone, your task is simpler, though it certainly is not easy. Getting out of shape is easy, getting back in shape never is. Your desire to achieve your goals must outweigh your desire to take the worn path because that path leads to making easy choices like poor eating habits and sloth. A commitment to fitness is uncommon because it requires an elite attitude toward pain and discomfort. View those two bedfellows as allies. Comfort is an adversary. The classic way to make smart diet adjustments is to keep a nutrition journal. This is a short-term task, so do not be intimidated. Write down the amount — in grams — of carbohydrates, fat and protein in each meal you eat. Do this for two weeks, and either adjust as you go or do so after you’re done tracking. Don’t forget to count calories as well. If you have gained a fair amount of weight, the numbers you reveal will likely be frightening. The worst thing you can do at this point is judge yourself on the decisions you’ve made that resulted in your current physical condition. Instead, begin tailoring your macro-nutrient intake to your specific goals. If you want to build muscle, for example, adequate protein is a must. 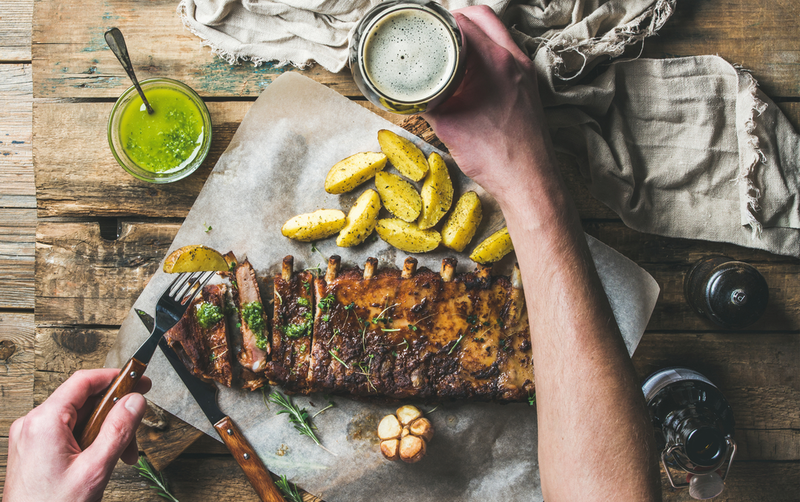 Total protein requirements vary by the individual, but there is ample information available to help you optimize your intake of protein to suit your goals. Like nutrition, exercise regimens work best when they are tailored to a specific set of goals. At first, those goals should be small, and so should the workload. Starting light and working up to more challenging work prevents injuries, so take the slow-and-steady approach. If resistance training is part of the regimen, start with light weights. Begin any aerobic training with short stints of exercise as well, building up to longer stretches of exercise. Evidence shows that aerobic training is the best way to shed pounds. If the goal is to build muscle, however, resistance training is the only way to go. Being overweight is unhealthy, regardless of the importance we place on appearance. Looking gaunt is a poor substitute, though. The fit, athletic look is in, and hopefully it stays that way for a while. 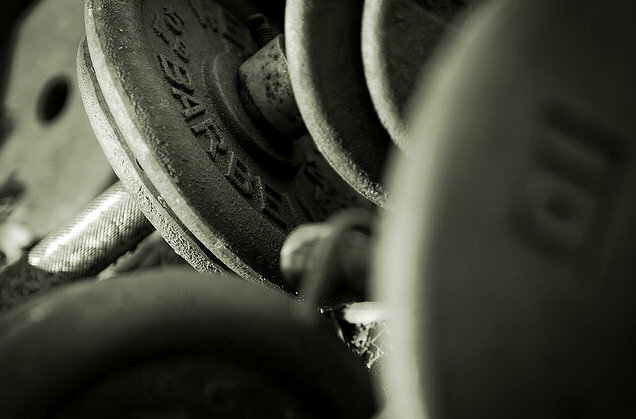 Weight training increases lean muscle mass in most people, which can improve metabolism. Muscles use glycogen as an energy source to perform work, and the body uses fat to replenish the glycogen it consumes during a workout. As muscle builds, the system must get even more proficient at consuming fat to replace spent glycogen, and the body’s metabolism becomes permanently affected. A common aversion to weight training is a fear of looking bulky. This fear is misplaced, though. Bodybuilders in a bulking phase can consume several times the recommended daily allowance of calories. With a finely tuned nutritional plan and training program, the body will gradually get into shape. Improving circulation can help alleviate swelling, which can appear as bulk. Try compression shirts on chest and back days, and try out compression socks on leg day. The improved blood flow may help reduce muscle soreness as well. Studies show that aerobic training improves cardiac health better than resistance training. 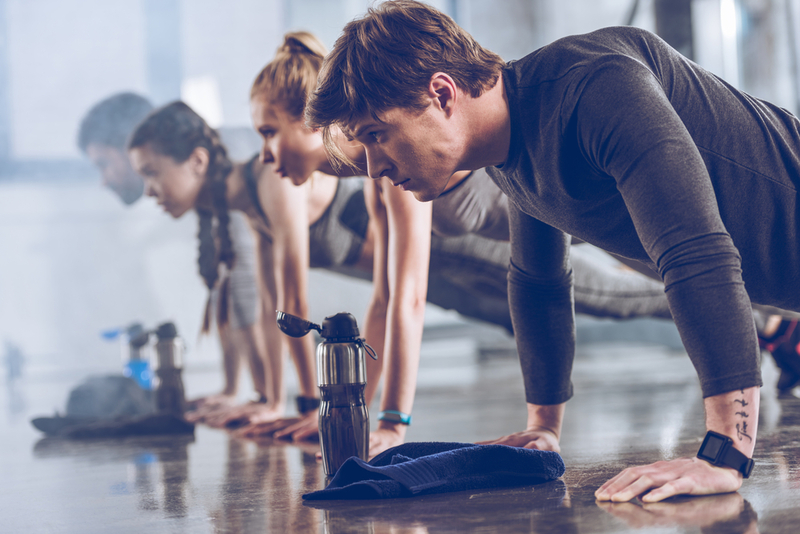 People whose goals center on overall fitness or improved health can focus on aerobic training and get tremendous results, especially those who need to lose weight for heart-health reasons. A simple regimen of cycling, rowing or running — whether outdoors or on a machine — can dramatically improve heart function in those who struggle with their weight. When your goals are more aesthetic in nature, though, resistance training is still a must. It is far superior to resistance training for weight loss and waist-size reduction, but the faster metabolism that results from weight training leads to lasting results. To build strength while reducing fat, consider implementing high-intensity interval training to your workout program. This system, known as HIIT, involves short bursts of all-out effort, followed by active cool-down periods. HIIT has been shown to increase the body’s ability to burn fat for days after a session. It is exhausting, but it gives us the chance to build muscle while cutting fat. Almost any aerobic exercise will lend itself to HIIT. Normally, HIIT is performed in repetitive sets. So, a 100-percent effort for 30 seconds, with 60 seconds of active cool down for 60 seconds. Three rounds would be a set, and the goal would be to increase the amount of sets you can accomplish in one exercise session. As the sets become easier, increase the workload volume to stay in a constant state of adaptation. An exercise program is a means to an end. It should be focused and direct. However, it should also be progressive. Periodization is the process of regularly increasing the volume of work in a fitness regimen, with volume being a measure of the weight and repetitions of exercises. Studies show that progressively increasing either variable builds both strength and muscle mass. As we adapt to a workout, it ceases to be as effective as it once was. Periodization is the key to staying in the muscle-building zone. Incorporating periodization in a beginning fitness regimen is simple, though it gets more complicated as the fitness goals get more specific and minute. If a regimen is effective, it will include elements of hypertrophy, where a muscle is worked until it fails. Soon, the muscle adapts and can more easily perform the volume of work that challenged it before. Set a goal of performing a certain amount of sets of a given exercise with a challenging weight, then add to it as you succeed. Periodization is all about progression. When you achieve a goal, set a new one. This much is certain: When we think we have achieved our goals and we call it a day, we learn we have achieved nothing. Setbacks happen often in any fitness-centered life. Progressively challenging the body can lead to injury, no matter how careful we are to avoid it. Even if no injury is involved, it can be difficult to push the body further and further, to no end. Sometimes it can seem like pain and soreness is all there is, and it becomes easy to think of quitting. The surest way to fail is to set a large, generic and vague goal, like getting thin or losing weight. When fitness becomes a lifestyle, success is almost guaranteed. It’s no use saying you want to be thin if you are not, because that leads to frustration. If the goals are tight and achievable, working toward them every day becomes much less daunting. The habit of exercising becomes second nature as we work toward our own personal records. Slim waists and a killer six pack are the result of tireless effort. None was built in a day, or even a year. Fit bodies are the result of smart decisions, constant sacrifices and hard work. They look the way they do because the body is adapting to progressively harder work at progressively higher volumes. People with great physiques never call it a day. It is easy to fall out of shape. The body does not want to be pushed hard, and forcing it to adapt to our demands goes counter to instinct. But there are no shortcuts. There are no magic pills. The only way to achieve true and lasting change is to grab the initiative and put in the hard work. The key is to not look at it like work. We are privileged to have the option to live a healthy lifestyle and achieve a fit body. Obesity is mainly a first-world problem. Embrace a fit lifestyle, and a fit body is sure to follow. Paul is a fitness and sports enthusiast. He’s also a gadget nerd, who’s testing different fitness gadgets and writing about them online. One place you can find him is ezcompression.com, where he mostly talks about compression wear.